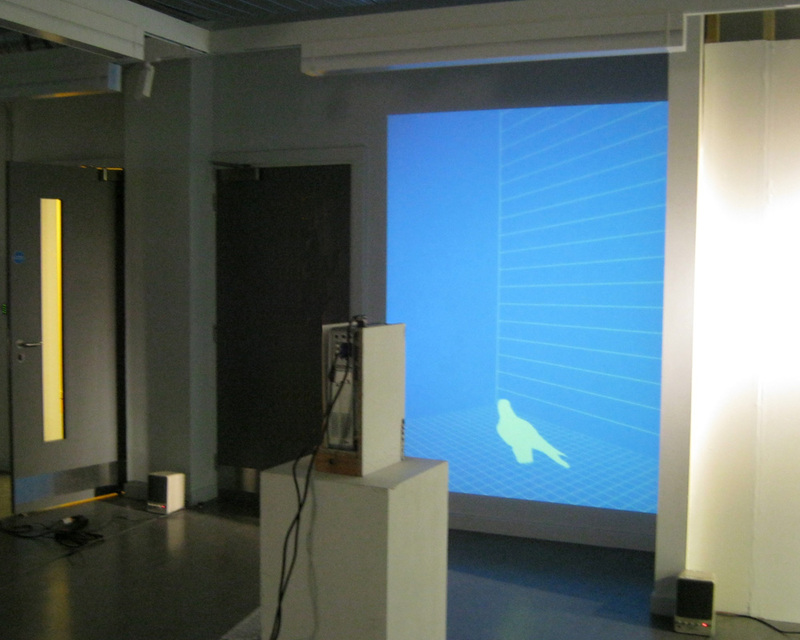 A 4:3 ratio animation turned through 90º to be projected on a wall. This work is about flight and as such the verticality of the content needs to be emphasised by the form of the work. The work begins and ends on black, this is so it can loop repeatedly. The looping gives the work greater presence; it’s more of an extended picture than an animation. It has a structure but no story. It plays over and over. A fragment of film, alluding to something much longer, the whole life of a bird spent inside a box at the behest of the scientists observing it. Although the bird is small it takes up the entire area, and can move in any direction.